Harper’s Weekly was the definitive newspaper of record for the latter part of the nineteenth century and early twentieth. It had broad national distribution and some international, a circulation that exceeded 100,000 and peaked at 300,000, and effective readership of at least half a million people. Harper's Weekly: 1857–1912 is the definitive version of the newspaper in electronic form. Visual impact: 75,000 illustrations, cartoons, maps, and portraits—drawn by Winslow Homer, Frederic Remington, Thomas Nast, and others—are the images that defined the period. Shaping of public opinion: Harper’s Weekly played an influential role in five presidential elections. George William Curtis, the paper’s influential political editor, provided national leadership with 8,000 consistent, reasoned editorials over a period of thirty years. International coverage: The newspaper included cultural reviews as well as the major news stories. Harper’s Weekly had more foreign correspondents and illustrated stories than any of its contemporaries. 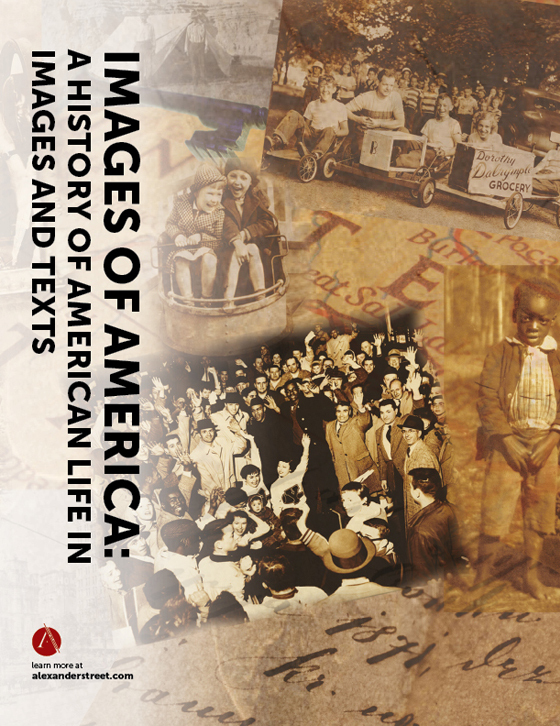 Literature: Approximately one-third of the material consisted of literature and verse, both American and English, providing entertainment in its time and significant insight for today’s readers. Quality of images: Each image has been scanned at 600 dpi in grayscale or better. This results in crystal clear prints that are orders of magnitude superior to those derived from bi-tonal 100 dpi scans of old microfilm. Depth of indexing: Alexander Street indexes concepts and topics that are not part of the original text, terms such as Women’s Rights, Confederate Ships, Diplomats, and Chinese-Americans. Editorials are indexed separately from news stories by topic, such as taxes, civil service, and women’s education. Many of these simply cannot be found using keyword searching. 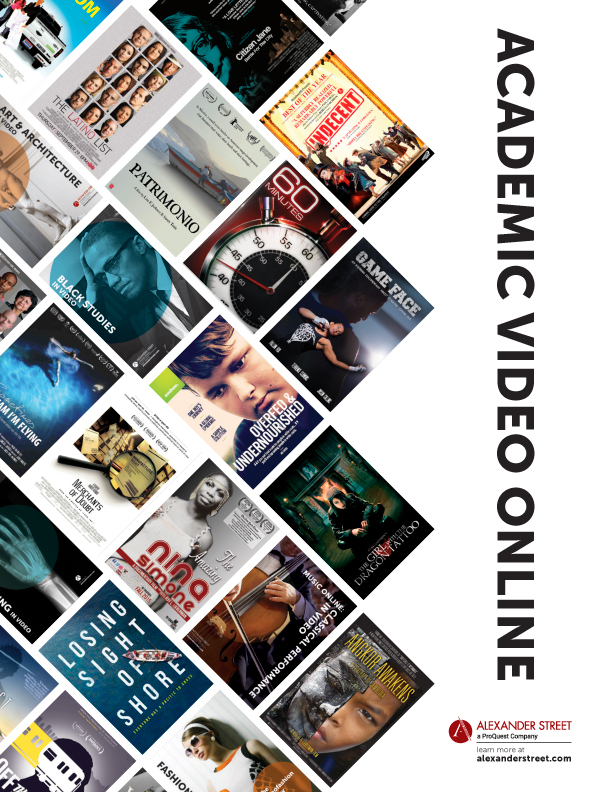 Dedicated thesauri make searching of geographical, occupational, literary genre, and topical terms easy. Illustrations are indexed to allow retrieval of topics, places, portraits and visual content; e.g., slaves escaping to the Union side are indexed as contrabands. Cartoon indexing allows users to search by subject as well as by character. More than 100,000 advertisements are indexed topically (jewelry, cough remedies, political campaign merchandise) as well as by manufacturer or retailer. Additional detail provides insight into everyday living in ways that keyword searching cannot—e.g., health remedies by symptom—so that users can learn what was advertised to cure cancer or treat “female maladies.” Clothing ads are indexed by gender and type, as well as by type of cloth or fabric. Literature is classified by genre, making it possible to locate all political verse, humorous tales, or female narratives, as well as works by author and title. Each piece of literary prose has a HarpWeek-prepared, word-searchable synopsis. Names, spellings, and terminology are corrected, completed, and standardized to overcome search obstacles. 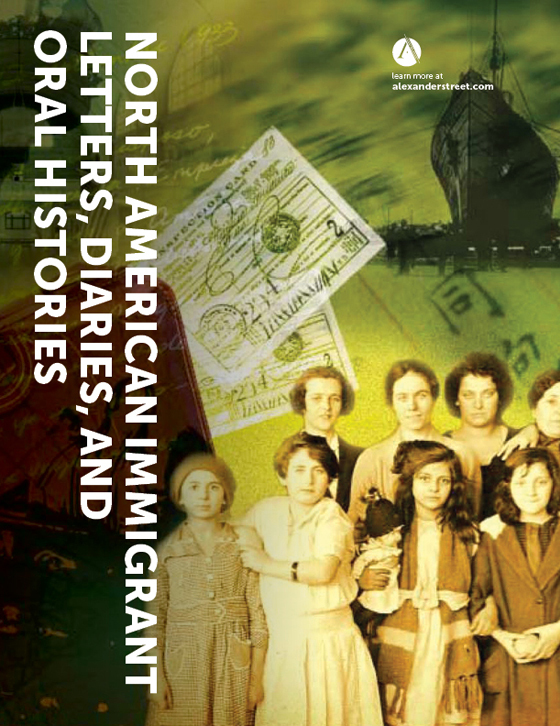 Contextual essays, Web sites and related materials: Harper’s Weekly: 1857–1912 has more than 10,000 pages of annotations, essays, and notes that provide detailed explications of materials in the database. 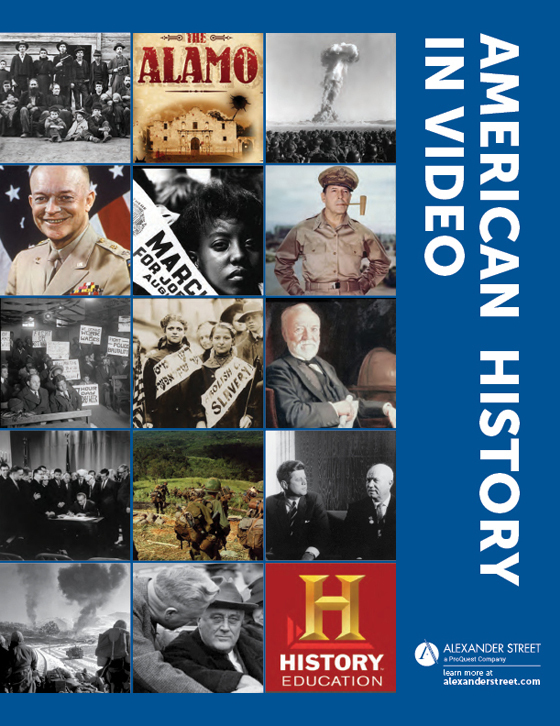 Examples include The Presidential Elections, 1860-1884, as Depicted in Political Cartoons and Prints, which provides a comprehensive overview of the role of political cartoons in presidential elections from Abraham Lincoln to Grover Cleveland. 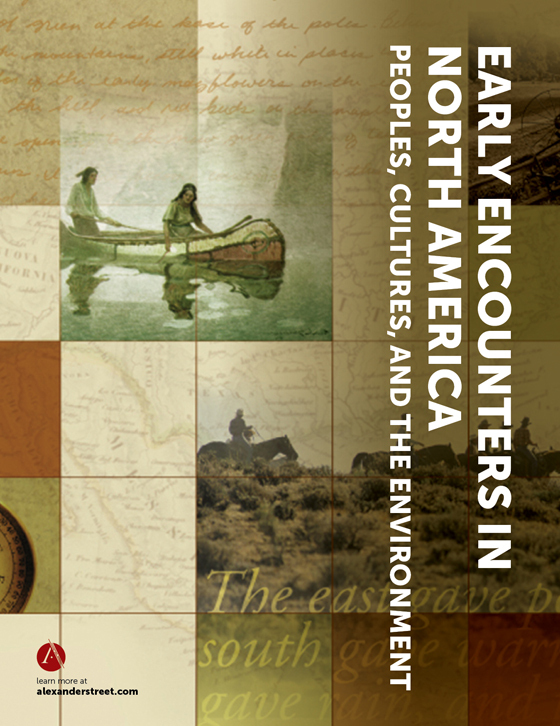 The essays include rare and difficult-to-find original materials. Retrieval engine: Each page image is retrieved in three sizes (plus thumbnail), allowing users to browse with speed or view greater detail. Images can be printed, using HarpWeek’s special print application, or downloaded. Unique features include the ability to browse an issue as the original readers did, reading through the pages in chronological sequence. 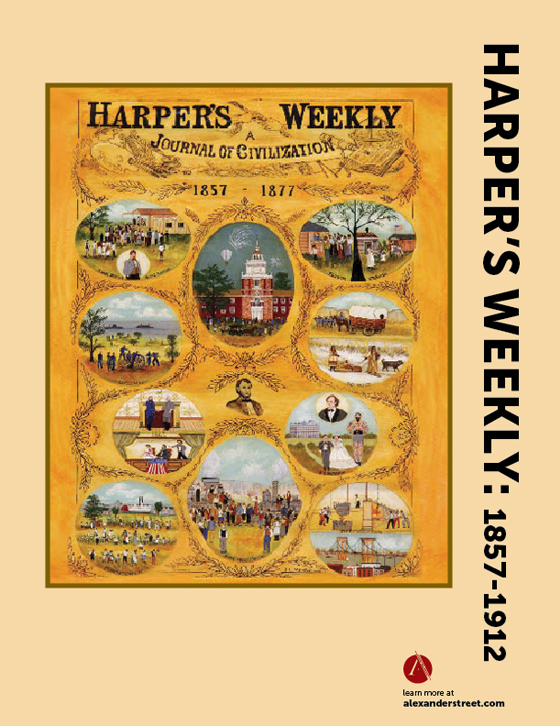 Harper's Weekly: 1857–1912 is available through one-time purchase of perpetual rights. 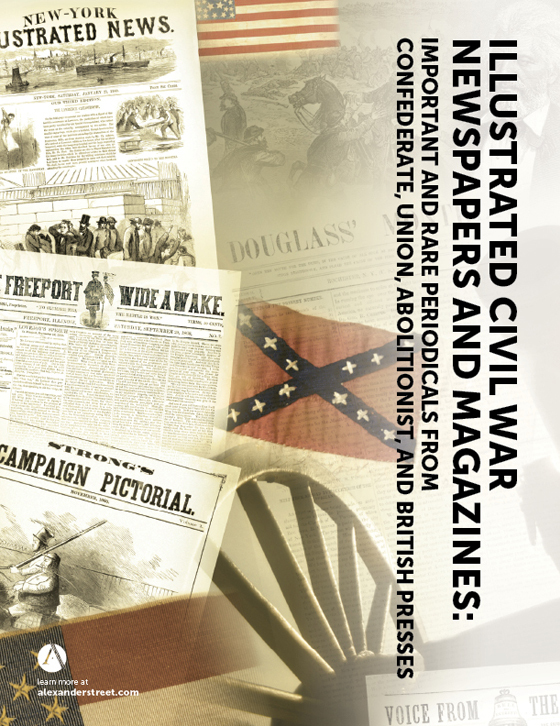 For complete coverage of the history of the period, also see Illustrated Civil War Newspapers and Magazines, which contains content from 49 periodicals of the time, including the 1857-1865 issues of Harper's Weekly. Its vast circulation, deservedly secured and maintained by the excellence and variety of its illustrations of the scenes and events of the war, as well as by the spirit and tone of its editorials, has carried it far and wide. It has been read in city parlors, in the log hut of the pioneer, by every camp-fire of our armies, in the wards of our hospitals, in the trenches before St. Petersburg, and in the ruins of Charleston; and wherever it has gone, it has kindled the warmer glow of patriotism, it has nerved the hearts and strengthened the arms of the people, and it has done its full part in the furtherance of the great cause of the Union, Freedom and the Law.